Grass Roots has partnered with Danone to deliver the VIP programme for the Danone Nations Cup World Final 2013, following a four-way pitch. Danone's annual event is in its 14th year and is the world's largest football tournament for children aged 10 to 12 years old and 40 countries participate each year. This year it will take place in the UK at Wembley Stadium on 7 September. The event has been recognised as an 'Inspired by 2012' programme by the Minister of Sport for its role in building a sustainable legacy from London 2012 Olympic and Paralympic Games. Since 2000, the event's objective has been to inspire millions of young people from across the world to be active and embrace the values of sport, exercise and the importance of a proper diet. 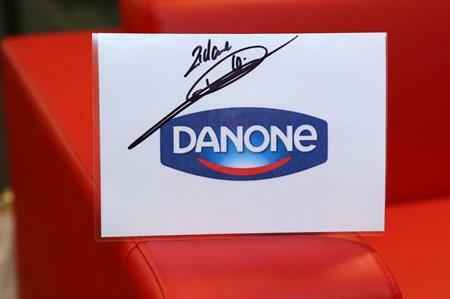 Nicolas Riom, managing director of Danone UK said: "Danone UK is very proud to host the Danone Nations Cup World Final in 2013. This is a perfect opportunity to keep the spirit of the Olympics alive in the UK and inspire millions more children to get active and believe in their dreams. "After such an amazing summer in 2012 we have seen how well London can host global sporting events. We are committed to ensuring next year’s Danone Nations Cup World Final will be bigger and better than ever."